The Normandie kitchen has seen scores of people come and go — and eat and cook. Because we’re in LA, and most of us work or study at USC, the house has always been completely international. The people who’ve lived, or spent time here, include people from Mexican, Canadian, Turkish, French, Portuguese, Vietnamese, Egyptian, Russian, Austrian, American, and Jewish backgrounds. Our food is the food we grew up eating, or learned to love, and love to cook. 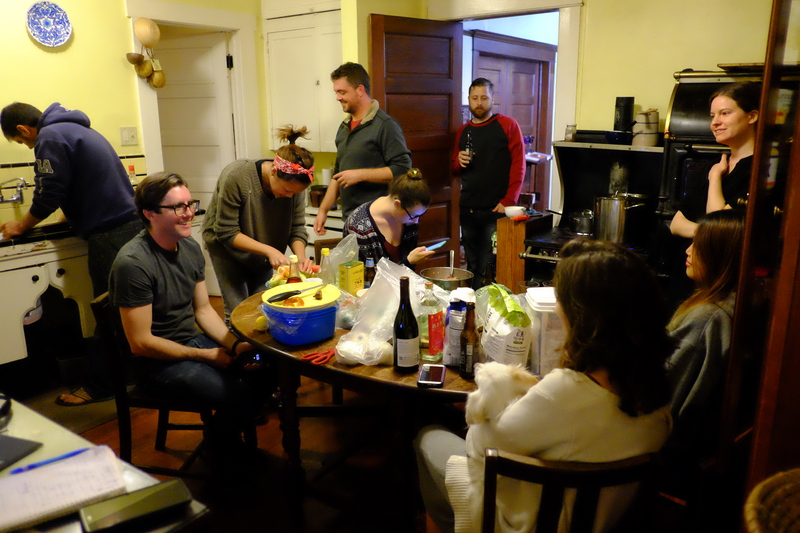 On a typical night, there’ll be half-a-dozen people hanging out in the kitchen, and cooking together. Some of the food is simple to make. But a lot of it is labor intensive, and it’s meant to be made in groups. Pasta, dumplings, and cabbage rolls; dolmas and lasagna; pizza and steamed buns. The best thing we can imagine is to get a bottle of wine (or six), a bunch of people, and spend a few hours cooking and eating together. The people who made these recipes have different favourite foods, and completely different styles. The “Normandie House” is a big, century old Craftsman near down town LA. We have a garden where we grow many of our own fruits, vegetables, herbs and spices. We have a dozen chickens (who you’ll meet), that supplyus eggs and sometimes soup. We sometimes have bees. 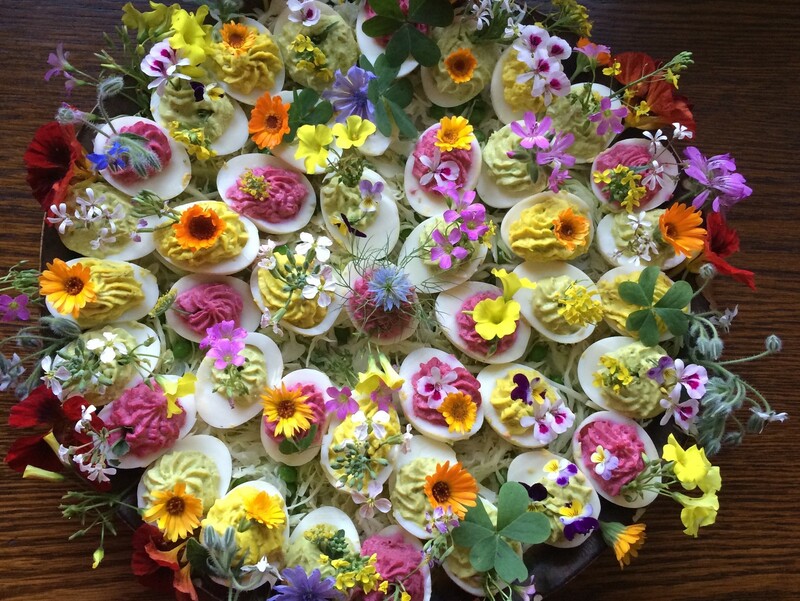 We eat (and sometimes cook with) flowers. 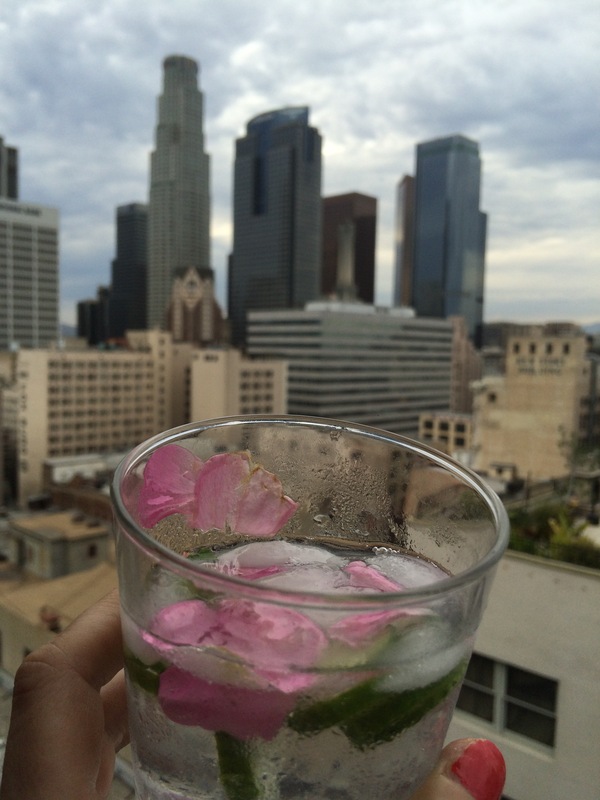 LA is one of the best, most unexpected, food cities in the States — maybe even the world. We’re a majority-immigrant city. We have access to spectacular produce year round, and can easily procure some of the most obscure ingredients of any cuisine. We take full advantage of this cultural wealth in these recipes. Happily, in the age of the internet, if you live anywhere on continental North America, you’re likely to be able to find most of these ingredients. But, we’ll still try to suggest workarounds for some of the less-common ones. Finally, if you’ve ever lived at the Normandie house, or spent time here cooking with us, we want you to add recipes to this blog. If not, we hope you’ll enjoy these recipes as much as we’ve enjoyed sharing them.